KCET is planting a flag in news with a high-profile hire and a commitment to restore investigative journalism at the core of its signature weekly newsmagazine SoCal Connected. It’s a decisive move by CEO Michael Riley, who’s been working for two-and-a-half years to hone the brand and focus the strategy of an organization that was adrift and mired in debt after splitting from PBS in 2010. To expand its audience beyond Los Angeles, KCET merged in 2012 with internationally-minded satellite channel LinkTV to become KCETLink. But auditors questioned the combined entity’s ability to continue as a going concern after it lost $12.5 million in 2013. Riley speaks during a KCETLink reception for board members and donors. Riley, former president of the ABC Family cable network, has narrowed the deficit, closing fiscal year 2016 with a shortfall of $7.3 million, but still faces a long slog to turn the hybrid media group around. However, his odds of success improved last month when KCET earned $63 million in the FCC’s spectrum auction. That figure is KCET’s net after fees and expenses on its $130.5 million channel-sharing deal with KLCS, a PBS station owned by the Los Angeles Unified School District. The pubcasters agreed to split auction proceeds 50-50. Like other financially challenged stations, KCETLink will use the auction windfall to pay off outstanding obligations — namely $15 million in debt. 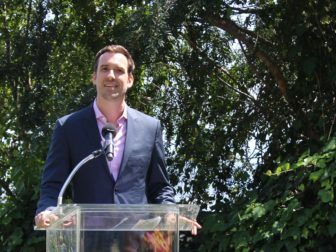 The rest will go to create an endowment to provide enhanced services and programming for communities in Southern California, Riley said. Income from the endowment, which is expected to generate between $1 and $2 million annually, will make it possible for KCET to close its operating deficit and commit to new programs and services. The organization already has a $5 million endowment that will remain separate from the new larger fund, since it is donor-designated and the pool for auction-revenue proceeds is not. “What we’re excited about, what the auction allows us to do, is to accelerate investment in the community,” Riley said. That includes a renewed focus on investigative journalism under Karen Foshay, a seasoned producer and investigative journalist with strong connections in Southern California. She started May 1 in the newly created role of executive director, news programming. Foshay reports to Juan Devis, KCETLink’s chief creative officer, who said the auction cash brings stability to his team’s work. “When you are working in an organization that is in the red, basically you are always wondering what is next and what will happen,” he said. Riley has set a tripartite focus on news, arts and cultural content, and global storytelling, which is LinkTV’s specialty. Under Riley, KCET has refined its practice of launching new programs on the web, then migrating them to broadcast. His efforts may be paying off. KCET continues to assess its audience performance in comparison to other Los Angeles–area public television stations. It beat all of them for primetime viewership in March and April, according to TRAC Media Services. KOCE, the flagship PBS station in the Los Angeles area, was airing pledge programs in March, and was still well ahead in full-day ratings. KCET’s digital content attracted 6 million views in fiscal 2016, up 621 percent from 2014, Riley said. The metric includes viewings on KCET.org, YouTube, Facebook, Twitter, Roku and Hulu. KCET.org is attracting younger viewers. A demographic comparison by Nielsen for the first quarter of 2017, provided by KCET, showed 29 percent of 18 to 34 year-olds who viewed the organization’s primetime content streamed it on kcet.org, and 2 percent viewed it over the air. For those 65 and older, 69 percent watched on-air and 15 percent online. The trend was roughly similar across genres and specific programs. For the news expansion, Foshay will initially focus on SoCal Connected, the flagship half-hour weekly series now prepping its eighth season for fall launch. She had previously worked at KCAL, the CBS affiliate in Los Angeles, CBS News and Dateline NBC before signing on with SoCal Connected as a senior producer. Her first stint with the show, from 2007 to 2012, was an award-winning heyday. The team won a Peabody in 2009 and numerous honors for “Up in Smoke,” an investigation of the proliferation of medical marijuana facilities in the LA area; and “Courting Disaster,” examining Los Angeles County’s Dependency Court. Foshay moved to Al Jazeera America until it folded in early 2016, and recently completed an investigative project for KCRW in Santa Monica, Calif. The Future of Work, a multipart series, looked at the challenges facing today’s labor force, including wage theft, worker abuse and employer fraud. Foshay and editor Alberto Arce plan enterprise coverage for SoCal Connected. The format, usually three long-form pieces, will become more flexible. Foshay envisions coverage ranging from the hyperlocal — engaging people in the street — to citywide and regional stories with national import. Street interviews could run online and on-air, building out a recurring series. She’s looking for ways to keep delivering news when SoCal Connected is on hiatus. “We don’t do fresh new shows [while it’s off air], so how to keep it going” is a question, she said. SoCal Connected launched in 2008, but the number of episodes produced per season has been irregular. In 2012 it moved to a daily format for one season with 80 episodes. Other seasons have produced as few as 16 shows. There were 28 episodes in the 2016–2017 season. Foshay is plotting out the content for Season 8 and hopes to expand the digital footprint, she said. She sees opportunities for local and regional media to engage with the major stories impacting the nation, yet notes that the recent ratings and readership gains windfall of some national news outlets hasn’t trickled down to local media. She also wants to work more closely with media partners, like Democracy Now!, which airs on KCET and Link TV, on shows or topics, but didn’t elaborate. “Investigative journalism takes time and money. They’ve done the best with what they had, and they haven’t had enough,” she added. Arts and culture form another pillar of Riley’s content strategy, and the genre has generated a new crop of shows that sprouted online. By aggregating and curating digital content and turning it into longer-form storytelling, the station has learned to bypass the traditional and costly pilot model, Riley said. The approach also helps boost KCET’s digital profile. The Migrant Kitchen launched last fall with a highly rated broadcast pilot and web series. 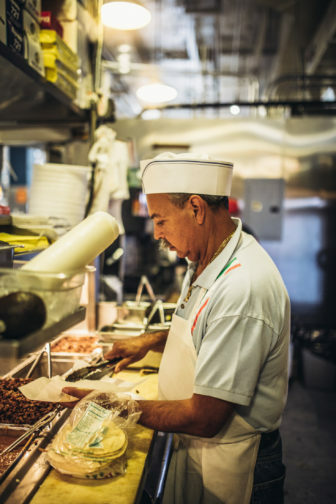 The Migrant Kitchen, for instance, explores how immigrants to LA have changed the food landscape of the city. It started as five separate online shorts that were released weekly and later merged in a broadcast pilot aired last October. Produced in partnership with Life & Thyme magazine, the show was nominated for a 2017 James Beard Award and a Webby. KCET is preparing a second season of four hour-long broadcast episodes. The weekly arts show Artbound launched in 2012 with an unusual model, using 50 columnists and critics from across KCET’s broadcast area. Their articles, videos and posts were turned into short-form documentaries and TV episodes based on viewer feedback. Last year KCET eliminated its online voting process and producers selected topics for one-hour documentaries. Season eight starts this fall. Tending the Wild is a multiplatform environmental series focusing on indigenous communities in California. Produced in partnership with the Autry Museum of the American West, it launched on the web last October with seven weekly videos, related resources and articles. The episodes were packaged into a one-hour television documentary that premiered in February. Season 2 will follow the same model. 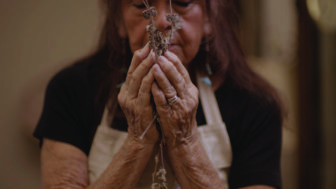 Tending the Wild, a documentary on the ecological practices of the native peoples of California, premiered in January. Another multimedia production is Lost LA, a documentary series that explores iconic pieces of vanished LA history, a popular format for local programs pioneered by WQED in Pittsburgh. Historian Nathan Masters of USC Libraries, KCET’s partner on the project, hosts the TV series. Lost LA and Tending the Wild, which both debuted last year, had the highest-rated TV launches of any of the station’s original productions since it left PBS starting in 2011, said Riley. 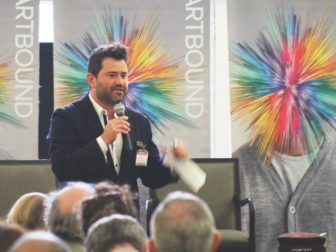 Like other shows, Artbound and Lost LA started online with “tons of editorial that dealt with arts and culture and history,” content head Devis noted. His team looked for stories that resonated online before deciding what to produce for the web and then broadcast. Link TV, which is distributed to 34.2 million homes via DirecTV and DISH, retains its focus as a satellite channel dedicated to global perspectives. It launched in 1999 as the first national network that presented international news, events and culture to an American audience. It shares some programs with sister KCET, which is building its audience among 6.1 million homes in Southern California. Riley has looked for ways to align the two services without diluting the qualities that differentiate them. Link TV showcases international documentaries in its Link Voices series, and highlights investigative environmental journalism and climate change in Earth Focus. 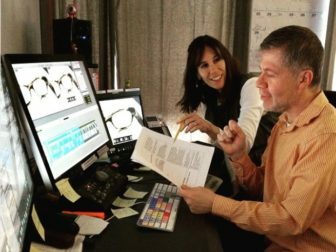 It is preparing to launch an original series, Trust Docs, in partnership with the Thomson Reuters Foundation, and working on a rebooted news show under the Mosaic brand. Devis speaks during an Artbound event. KCET’s Artbound and The Migrant Kitchen cross over to Link TV’s schedule, and KCET broadcasts Earth Focus and Border Blasters, a series of international music videos. Both will present City Rising, a new series on social advocacy, in September. KCETLink has a slate of 11 series in production and development, Devis said, and is in talks with a national distributor to expand its footprint nationally. A handful of PBS stations in California, including KVCR in San Bernardino, KVIE in Sacramento and KQED in San Francisco are or will be airing its programs. KQED has picked up The Migrant Kitchen, Tending the Wild and Lost LA, along with The Mundane Afrofuturist Manifesto and Artesanos/Artisans, according to program director Susie Hernandez. She will present them on Truly CA, KQED’s showcase for independent documentaries about California. “Once KCET stopped being a PBS station, I didn’t think of them as making TV content anymore,” she said. She wonders how KCETLink churns so much digital production into on-air content without running up against union contract rules that require that online content be distributed online only. Riley wasn’t at KCET when his predecessor Al Jerome dropped the station’s PBS membership and relinquished its role as the powerful PBS flagship for Southern California. He was at Walt Disney, generating millennial hits like Pretty Little Liars. At the time, Jerome insisted the split, which sprang from a dispute over annual dues, was unavoidable. Judy Muller called it “the worst business decision I have even seen.” KCET lost 80 percent of its audience from 2011 to 2014, when viewership started to creep back up. The PBS flagship for greater Los Angeles is nurturing ambitions to bring more ideas from Hollywood’s creative community to public television. We remember the times when this station produced “Sid The Science Kid.” Still on most PBS stations. Their logo was modified with the SoCaL logo, including a new content for end credits.